If you own a small or large business, there’s a good chance you’ve been trying to handle all of the bookkeeping by yourself. Trying to manage your company’s bookkeeping and payroll needs can be extremely time consuming, especially if you don’t have assistance from a certified accountant. At Bookkeeper 4 U, we offer bookkeeping services for busy entrepreneurs, so you can focus on what’s really important: your business. 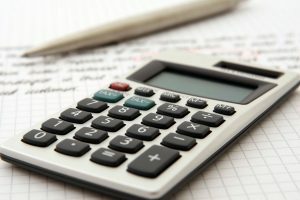 Our professionals are invested in your business’s success just as much as you are, and we offer unique bookkeeping solutions to our clients because we realize that no two businesses are the same. Whether you need assistance with your business’s bookkeeping, payroll processing, or QuickBooks setup, contact our friendly staff today. Business owners who need bookkeeping and payroll processing services have two options: they can try to maintain their books themselves or they can hire an outsourced bookkeeping company to help. There are many benefits when it comes to outsourcing your bookkeeping needs. Let’s take a look at why you should consider doing so below. 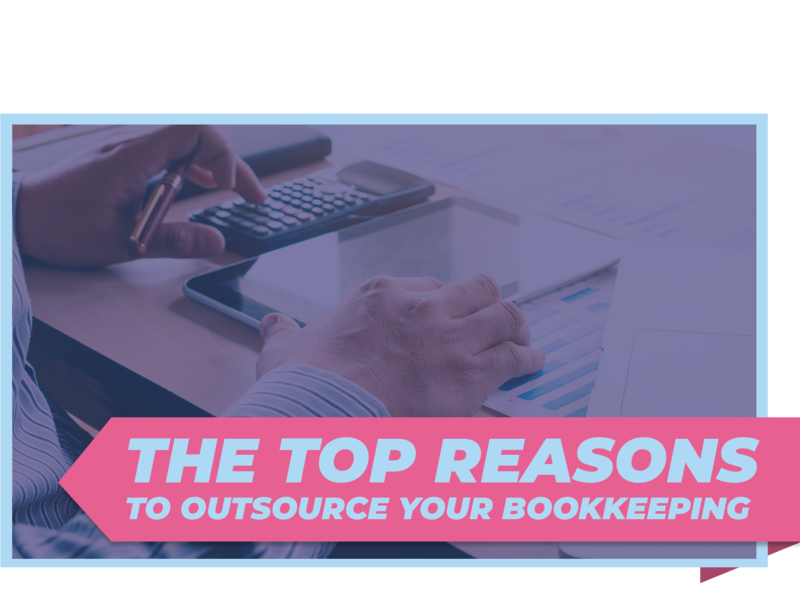 The biggest reason to consider outsourcing your bookkeeping is the amount of time you’ll save. Most business owners struggle to find enough hours in the day to go over their financial books and documents. When you hire a third party company to assist you with your business’s bookkeeping needs, it will free up valuable time that you can put into growing your company. At Bookkeeper 4 U, we understand how beneficial it can be to have someone else manage your books. That’s why we offer some of the best outsourced bookkeeping services available. Whether you’re a small business of two people or you own a 100-person office, we can provide you with a wonderful range of customized bookkeeping services. We’ll create your books from scratch and keep them up to date periodically, or we can maintain your books full-time so you never have to worry about them. If you’re interested in learning more about how our outsourced bookkeeping services can help your business, schedule an appointment with a member of our staff today. When you outsource your bookkeeping and accounting needs, it’s a great way to add an experienced financial expert to your team without having to hire a full-time accountant. By putting your books in the hands of a highly skilled professional, your job will be a whole lot easier. When you work with A Bookkeeper 4 U, you’ll always receive fast and efficient bookkeeping services, without the headaches associated with bounced checks, unopened mail, and a mountain of bills piling up. 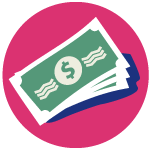 We’ll update your books on a regular basis, take care of all of your payroll and filing needs, and make your finances simpler so you can work to grow and expand your business. Another great reason to outsource your bookkeeping needs is the fact that you can avoid costly mistakes and save money. A professional bookkeeper will make sure that all of your Is are dotted and your Ts are crossed, and you won’t have to worry about them making mistakes that could cost you penalties and fees down the line. 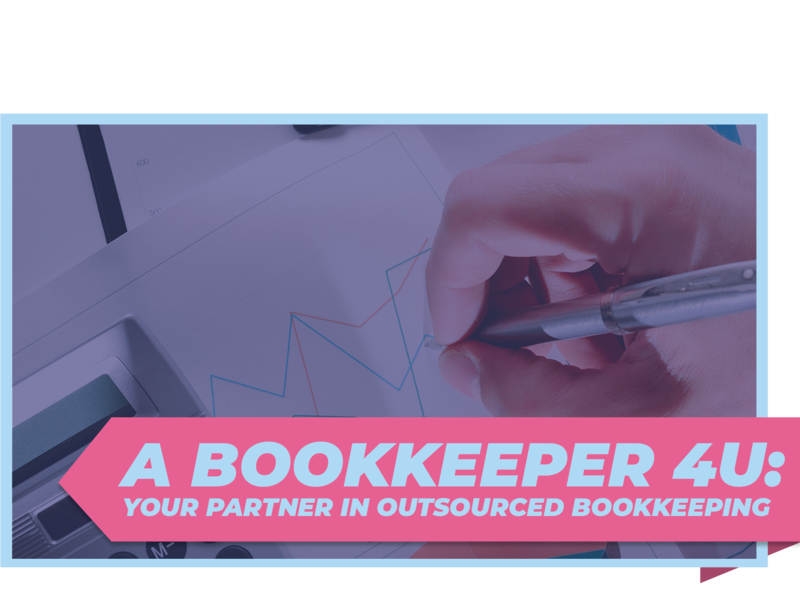 In addition, when you outsource your bookkeeping to A Bookkeeper 4 U at a fixed cost, it will be significantly cheaper than hiring an in-house accountant to maintain your finances. One of the biggest reasons business owners choose to outsource their accounting and bookkeeping services is because they know it will help to improve their business’s performance. Monthly financial information and reports are essential to the success of your business, and it will allow you to make improvements to your business operations and goals. When you outsource to A Bookkeeper 4 U, we’ll give you timely insight into your business’s financial status. 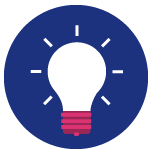 With our help, you can make the right business decisions based off of real financial analysis, not just guesswork. 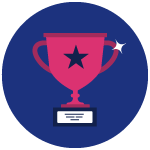 When you work with our team of professionals, you can rest assured that you’ll have a trusted advisor who understand business and can provide you with financial feedback if and when you need it. From accounts payable and purchasing management to financial statements and business analysis reports, we can help you keep a close eye on your company’s finances. If you’d like to discuss how outsourcing your bookkeeping and accounting needs can help your business, be sure to reach out to A Bookkeeping 4 U today!